The late eighteenth and early nineteenth- century vogue for the Picturesque and for forging an English landscaping tradition (with frameable landscape scenery and managed wildness) will be the starting point for discussion. Proponents of the Picturesque, preferring to explore British scenery rather than go on the European Grand Tour, explicitly cultivated notions of Englishness and stress the native elements in landscape scenery, such as castle or abbey ruins (real or folly) in grand gardens, not classical temples. 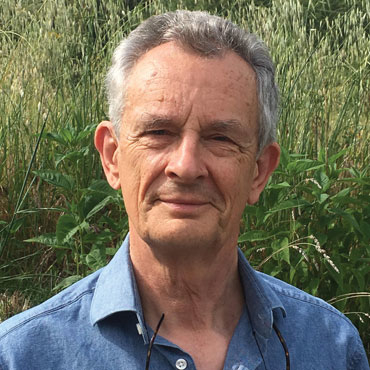 Malcolm Andrews is Professor (Emeritus) of Victorian and Visual Studies, University of Kent. He is the Editor of The Dickensian, the journal of the Dickens Fellowship, and a past President of the Dickens Society of America. His special interests are in Dickens and in landscape art. Among other books on Dickens he is the author of Charles Dickens and His Performing Selves (OUP, 2006), a study of Dickens&apos;s Public Readings and the relationship he developed with his readers and listeners during that career, and Dickensian Laughter: Essays on Dickens and Humour (OUP, 2013). Book publications in landscape aesthetics and the visual arts include The Search for the Picturesque: Landscape Aesthetics and Tourism in Britain, 1760-1800 (1989) and The Picturesque: Sources and Documents (1994). The Search for the Picturesque examined developments in the taste for landscape in eighteenth-century England, in poetry and painting, and made a special study of the first wave of scenic tourists to the Lakes, North Wales and Scottish Highlands in this period, drawing on a range of published and unpublished contemporary travel diaries. Malcolm Andrews published Landscape and Western Art in 1999, a volume in the New Oxford History of Art series, a study that reviewed and explored some of the key &apos;moments&apos; in the post-renaissance traditions of landscape art in Europe and North America. He is currently writing a book on the personality of English rural scenery as represented by writers and artists of the nineteenth century.